Starting this week, citizens of Bonifacio Global City (also known as BGC, Global City, or The Fort) will be able to rate their satisfaction with the public services provided by the city. BGC, the fastest growing financial and lifestyle district in the Philippines, has deployed the HappyOrNot Smiley Terminals in both the Ayala Market to measure satisfaction with their front-line services for city-wide permit processing, and across their entire bus service – the Market Bus – to measure passenger satisfaction. Each day, around 48,000 passengers commute into the city via BGC’s own bus service to conduct a variety of both business and personal affairs. 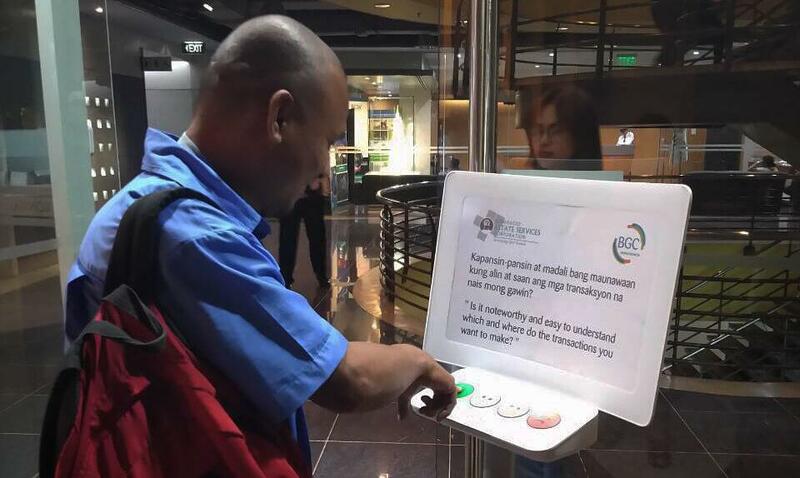 The continuous, hourly feedback data and email reporting will help BGC to identify peak hours or times of the day where their service levels require attention. This proactive monitoring of satisfaction levels will serve as the backbone of BGC’s efforts in ensuring citizens are happy when using their services. G.U.L.F. Trading is an official reseller of the HappyOrNot service in the Philippines. Established in 2011, G.U.L.F. Trading Wireless Solutions Corp. is the exclusive distributor of long-range wireless paging systems for use in different service-related industries.